Perfect Water Technologies announced today it has been awarded a new U.S. patent for its innovative wall-mount bracket, which significantly simplifies the installation process of its whole-house water filtration systems. The biggest driver of our R&D efforts is the consumer experience, said Jon Sigona, president of Perfect Water Technologies. Perfect Water Technologies announced today it has been awarded a new U.S. patent for its innovative wall-mount bracket, which significantly simplifies the installation process of its whole-house water filtration systems. Patent No. D760,578 is the third patent for the company that produces groundbreaking whole-house water filtration, undersink reverse osmosis (RO) and hydroponic systems under the Home Master® brand. To learn more about the full line of Home Master products, visit HomeDepot.com, or HomeMasterFilters.com. Perfect Water Technologies develops innovative water purification products for home and garden under the Home Master® brand. 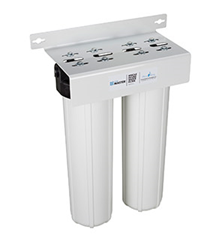 Founded in 2002, the company has developed a patented remineralization system for reverse osmosis systems to reduce storage tank degradation, improve water quality and reproduce perfect natural water. Recent efforts have focused on bringing the highest-grade catalytic carbon to all of our carbon filters to address the growing concern with chloramines. For more information about Perfect Water Technologies and Home Master brand products, visit HomeMasterFilters.com.